Don't see your merchant? Tell us! Not sure of the amount? We'll verify it later. for growing numbers of consumers trying to stretch their shopping dollars at both ends. to cash in in all my gift cards. with a cash offer for up to 92%. Mail us your gift card with our FREE prepaid shipping label. Receive an email confirmation upon receipt of your gift card. We will mail you a cheque or credit your account with SwapPoints within 2 business days. purchase or sale, you will earn SwapPoints. on an amazing range of gift cards. 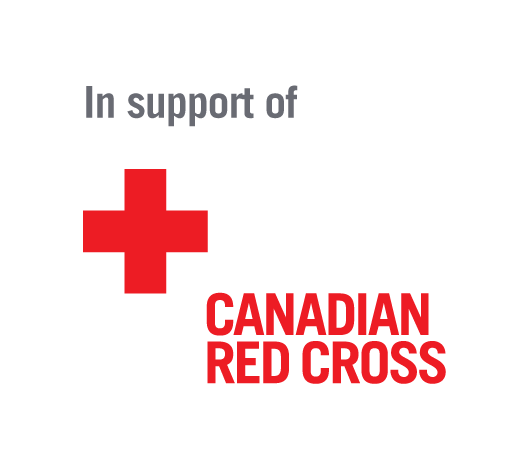 Donate your gift cards to support the Canadian Red Cross in their efforts to provide Syrian refugees with comfort, help and hope as they transition to a new life in Canada. Tax receipts for the cash value cards (not face value), available by request. chat live with one of us. CardSwap is rewarding Canadians with gift cards and cash back savings on everyday purchases -- dining, shopping, grocery, and even gas. And CardSwap is still Canada's #1 site to buy gift cards and sell gift cards. You can buy gift cards and earn rewards redeemable for gift cards, or sell us your unused gift cards for up to 92% of the face value in cash. As Canada's #1 gift card exchange, we have created Canada's largest and fastest growing market place for gift cards where you can buy gift cards, sell gift cards, or donate gift cards to charity. CardSwap allows you to get money that you can use any way you want for your unused gift cards. Don't let those unwanted gift cards waste away in your wallet or get lost in your sock drawer. Turn your Winners gift card, Cineplex gift card, Lululemon gift card, and many more into cash today. If you needed even more of a reason to get rid of your unused gift cards, you can sell your gift card to CardSwap and we will turn it into a donation to a selected charitable organization. When you make a donation of gift cards that would normally be unused, you are able to make a positive contribution to these organizations. The charity will provide a tax receipt for all gift cards that are donated. Not Sure of the value on your gift card? Use CardSwap's Balance Check to find out the balance on your Best Buy gift card, iTunes gift card, Chapters/Indigo gift card, Canadian Tire gift card, and many more. Want to earn gift cards with every purchase? Buy the gift cards you want and earn rewards with every purchase, redeemable for gift cards. CardSwap is the trusted Canadian marketplace that makes exchanging gift cards easy and secure. Browse Apple Store gift cards, Walmart gift cards, Toys R Us gift cards, and many more. Don't see the gift card that you are looking for? Use CardSwap's wish list to let us know your favourite retailers and we will let you know when a gift card becomes available in Canadian dollars. Add Golf Town gift cards, Loblaws gift cards, or Starbucks gift cards to your wish list today! CardSwap is not affiliated with merchants listed on this page. Deals featured on CardSwap Inc. are not sponsored by such organizations and are solely the responsibility of CardSwap Inc.